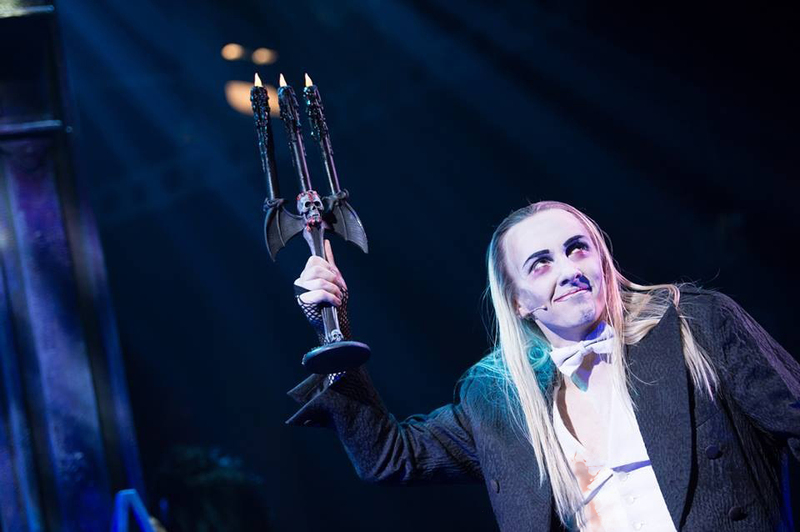 Kristian Lavercombe is a Welsh-born actor and singer best known for playing Riff Raff in over 1,000 performances of The Rocky Horror Picture Show. 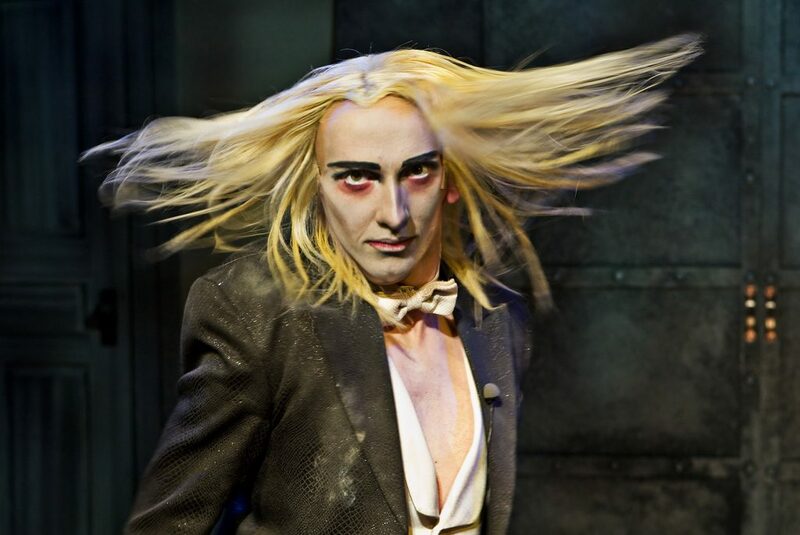 Described by the show’s writer Richard O’Brien as “a fantastically talented Riff Raff”. 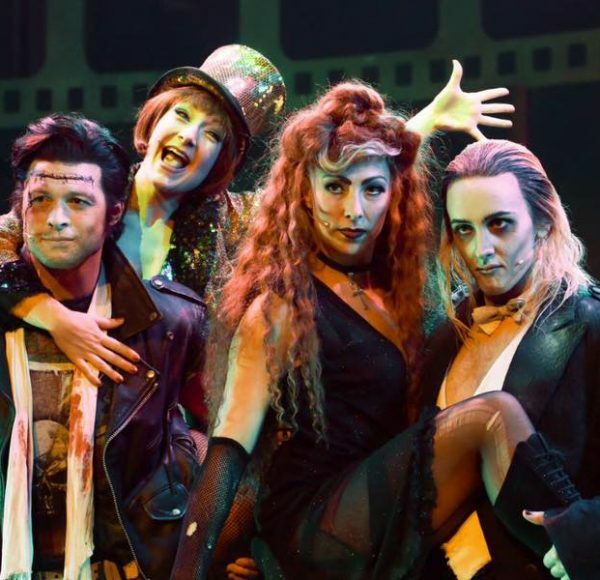 We managed to speak to Kristian for our Ask a Star feature while he is in Australia playing in the Rocky Horror Picture Show. We talk about about Guns ‘N Roses, funny biscuits and the dedication of Rocky Horror Show fans! You can also follow Kristian’s work on YouTube. I got into acting by accident. I’m welsh originally, but my family emigrated to a small beautiful town in New Zealand called Nelson. That’s where I spent my teens. At high school I had ambitions of becoming an artist. However, I was always involved in shows and when I was seventeen my music teacher encouraged me to audition for the National Academy of Singing and Dramatic Art. I was accepted and when that door opened I forgot all about the painting and quickly became hooked on acting. When I graduated I luckily fell straight into work with one of New Zealand’s top theatre companies, the Court Theatre. The Court was loosely based on the old rep theatres in the UK, where you usually rehearsed one play during the day while performing a different play at night. I worked for them for several years and to me it was like having an extended acting apprenticeship. I was surrounded by brilliant and experienced actors that constantly inspired me and the variety of work really helped me become a versatile performer. 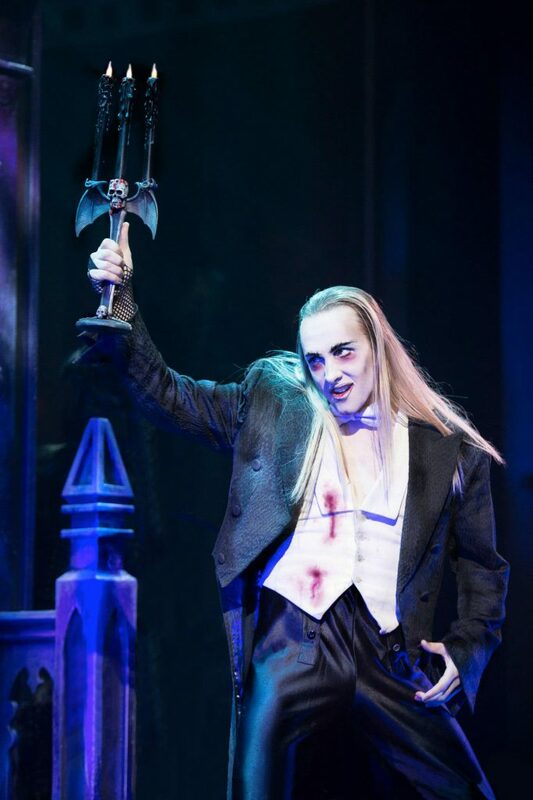 Having played Riff Raff in over 1000 performances of the cult musical Rocky Horror what drew you to the role? When I got the role of Riff Raff I wasn’t necessarily auditioning for that role. I pretty much crashed the audition as I only heard about it on the day, but as I’d previously played Frank’n’Furter and Brad Majors in a couple of smaller productions I thought I might be a good option to understudy one of those roles. I don’t really look like a Riff Raff at first glance, so it was the last character I had imagined I would be cast as. Luckily, the director of the show – Chris Luscombe – thought differently and I’ve now manged to notch up over twelve hundred performances with several different casts. 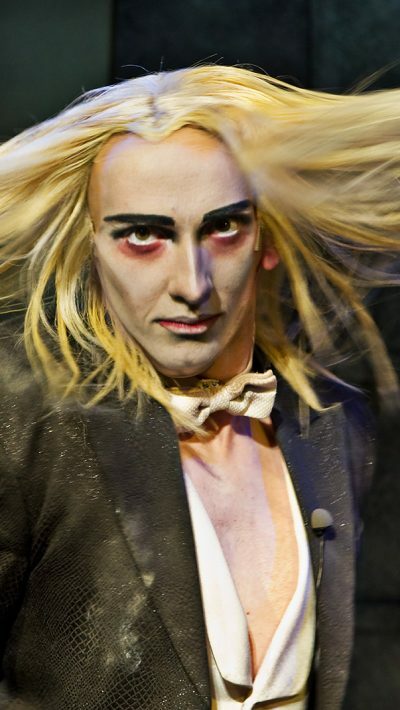 Fans are known for dressing up for Rocky Horror performances, what has been the best/elaborate costume you have seen in the audience? I can safely say that Rocky Horror has the most dedicated fans of any show I’ve encountered. It is truly a way of life for many and some of them go to extreme lengths with their costumes. I remember one woman dressing up as my characters sibling, Magenta. Her costume was so good that when she cheekily jumped up on stage during a black out, no one backstage realised that it wasn’t the actual actress. I went back to my dressing room during the show and discovered her sleeping off too many cocktails on my couch. She wasn’t keen to leave so security escorted her out of the building. She was last seen yelling “I’m his sister” at the security guard. 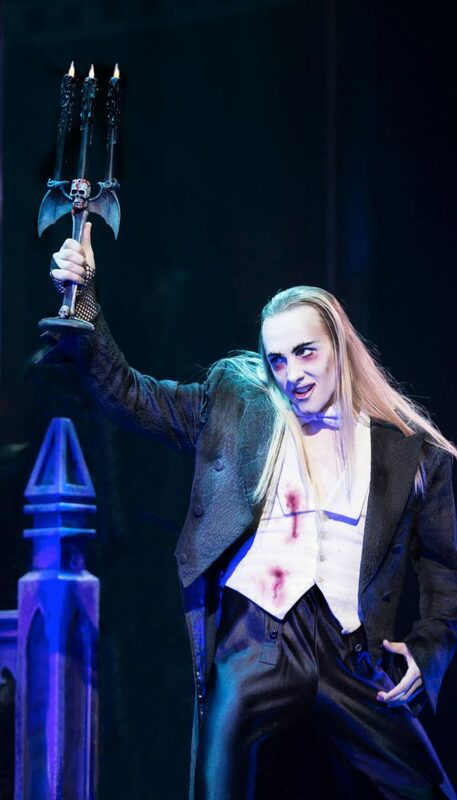 What has been your favourite role you have played (apart from Riff Raff!)? In many ways, every character you play becomes a friend, so it’s really difficult choosing a favourite role. I class myself as a character actor and I love playing people who are unusual or different. One character that jumps to mind is Leaf Coneybear from the 25th Annual Putnam County Spelling Bee. Leaf is a quirky 11-year-old with Asperger’s syndrome. He was just a delight to play. I also enjoyed playing Puck in Midsummer Night’s Dream. I’d love to do more Shakespeare in the future. If a character has some kind of childlike or magical quality about them then I’m totally in my element. Where has been your favourite place to perform on stage and why? Theatres are magical places in my opinion! I totally agree, theatres are magical places. They are also guaranteed to be the most beautiful buildings in any city. I’ve worked in hundreds of different theatres around the world and the UK is lucky enough to have some of the most magnificent theatres on the planet. However, my favourite theatre is actually the Civic Theatre in Auckland, New Zealand. It’s an atmospheric-theatre and is a lavish mix of 1920’s Indian, Moorish, and Asian influences. The auditorium has been designed to create the illusion that you are outdoors under an open sky. It even has twinkling stars, projections of clouds that drift across the ceiling, and the stage is guarded by two huge golden Abyssinian panthers. It really is the most magical of buildings. I’m very lucky to have a job that I enjoy and I definitely don’t take that for granted. I love working and I feel most at home when I’m backstage in a theatre. Of course, touring life comes with its challenges. Living out of a suitcase for years on end, or always being away from your friends and family can be hard. But, I also love exploring new cities and countries and I’ve spent time in lots of places that I normally wouldn’t have had the opportunity to go to. Life is all about experience and working as an actor has certainly supplied that in excess. What’s been a funny moment for you on stage? Any mishaps you want to share? A few years back I was playing Jesus in Jesus Christ Superstar. On opening night, I had received several gifts at the stage door. Among those gifts were some home-made shortbread biscuits. I’d been on a health kick in the run up to the show, but I thought since it was opening night I’d have a couple of biscuits to treat myself. It turned out they were hash cookies! It was opening night with a full audience of the press and celebrities and I had no understudy! The show was held up for about forty-five minutes while the cast and crew googled every madcap cure imaginable. I thought I’d never live it down if I cancelled the performance, so, in my clouded judgement I decided to go out and give it my best shot. To be honest it was a terrifying and outrageous situation to be in but thank god – pun intended – it went well! I can laugh about it all now! Are there any shows you recommend we should see on the West End/Broadway/Touring? Ironically, I very rarely get the opportunity to see shows as I’m usually in one. However, when the timing is right, my favourite thing to do is to go to the Edinburgh Fringe Festival where I can literally binge watch live theatre. I love the excitement and atmosphere at the Fringe. I’ve seen the best and worst theatre in my life there and I love it all. Has the industry changed since you started, do you think it would be harder to start acting now? The acting industry is constantly evolving and to remain current you have to keep evolving with it. I actually think it’s always been challenging to have and maintain a career as an actor. I suspect if some actors knew those challenges they may never ever start. I think it is important when you first become a working actor to hit the ground running. Get stuck in in any way you can. We live in a time when you can actually produce your own work from the comfort of your own bedroom. These days we nearly all have cameras and recording studios on our phones. It’s very easy to publish your work on the internet and if the right people see that work perhaps it’ll help you get in front of the right people. Where can people see you performing next? 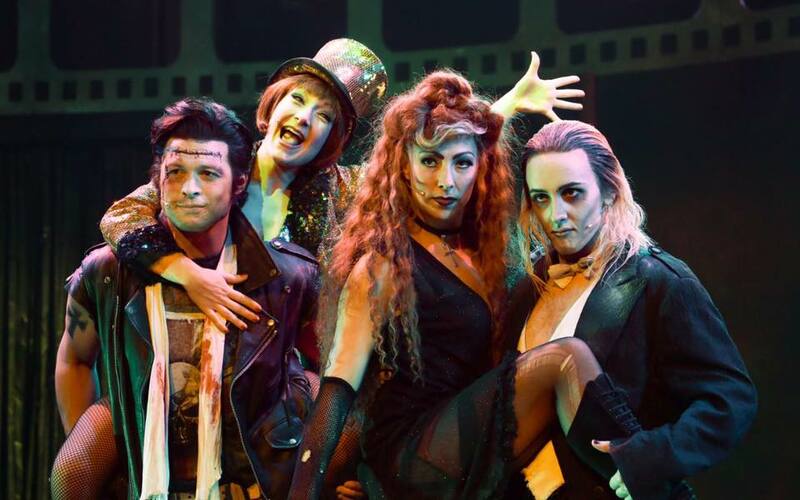 I’m currently finishing off the Australian Tour of Rocky Horror before I head back to London. In the meantime, I’m taking my own advice and I have just started putting my personal work on YouTube. You can come find me there. What’s your go to song for auditions or just singing in the shower?! When I’m in the shower I’m usually singing something from Guns’n’Roses like Sweet Child Of Mine. I have sung that song at a couple of auditions, but to be honest, it’s really not the best choice for that situation and I should really just leave it for shower.